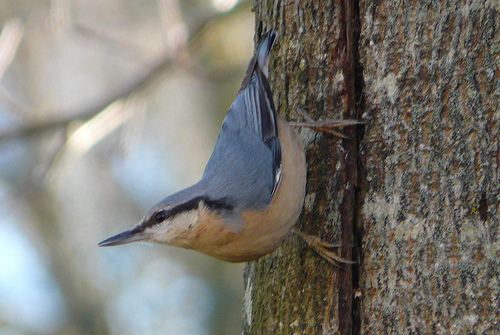 The Nuthatch is a beautiful forest bird, which climbs up and down the trunks. It picks away insects hidden in the bark. 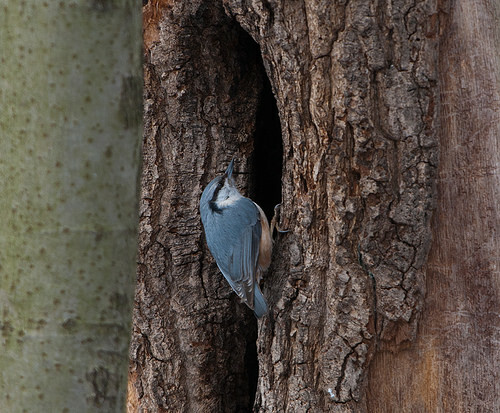 The Nuthatch is able to climb a trunk both up and down. The Treecreeper will always go up. The Nuthatch is greyish blue, the Treecreeper brown.